Grout is a mortar like compound which holds together tiles and floors of your home. It also prevents water from leaking through cracks. However, it is also prone to creating mildew and mold coverage. This is the reason why you should give your grout proper attention to keep it shining. Here we have revealed some simple tips to keep your grout in well maintained condition. If you see that too much of mildew and mold has developed on grout then consider scrubbing it with toothbrush by using solution of hydrogen peroxide and water. If your grout has become so dull that it is not responding to any form of cleaning then you can consider applying a small layer of fresh grout. You can use rubber float to apply the new grout into all the joints properly. Don’t use vinegar solution or ordinary bleach to shine the grout as it may change the color of your grout to tinted yellow. Oxygen bleach is one of the safest compounds, which helps to dissolve the grime and bacteria while shining the grout. You can add warm water to oxygen bleach in order to let the solution to dissolve properly. Dry spills let your grout to lose its shine. So wipe out all the spills using wet rag to keep your grout clean. For small stains, pencil eraser does a fabulous job. Mildew and mold usually spoil grout in your home bathrooms. So consider installing an exhaust fan to dry the wet tiles and keep the grout free from mold. 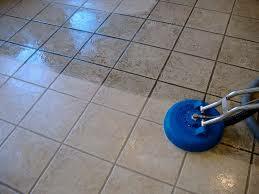 If you are thinking of sprucing up your home during coming holidays then you should also consider cleaning your grout. If you are using any strong chemical to shine the grout then always keep your mouth and nose covered as harmful gases emitted during the process may make you feel sick.